I suspect this sport was conceived when the child that always tried to stand on a boogie board underwater grew into an adult. 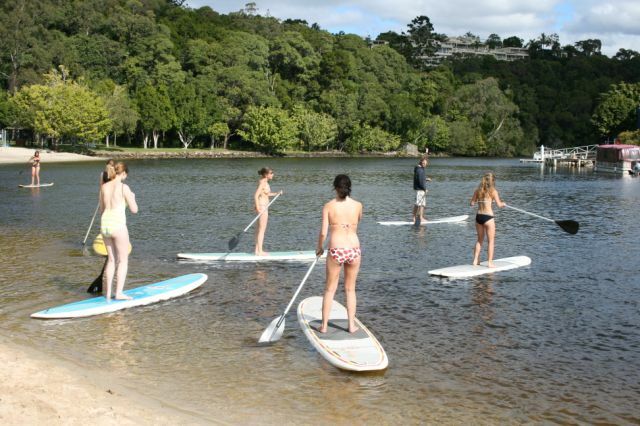 This activity is exactly what it looks like: people standing on a floating surfboard and paddling with an oar. If only Tom Hanks had this invention instead of that rickety raft. Getting back to society would have been much easier. Remember in cartoons when characters were being chased by some sort of gruesome monster, they would always somehow lose their shoes/skis and end up skiing across a mountain or lake barefoot? Well this sport takes that concept to a whole new level (namely, into reality). Participants trail behind a motorboat with nothing but a bathing suit and rope. There aren’t always going to be ginormous waves around, especially if you don’t live in California or Australia. That’s where skurfing comes in. 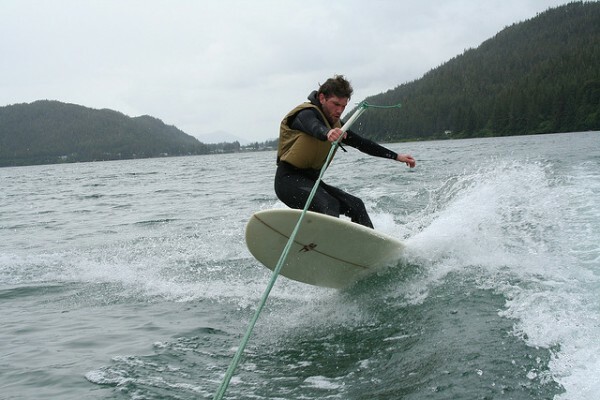 A combination of surfing and water skiing, allows water bugs everywhere to fill their surfing quota whenever they want. Gnarly! I’m confused. What force of nature allows a hockey puck to move fast enough in water to create a legitimate sport? 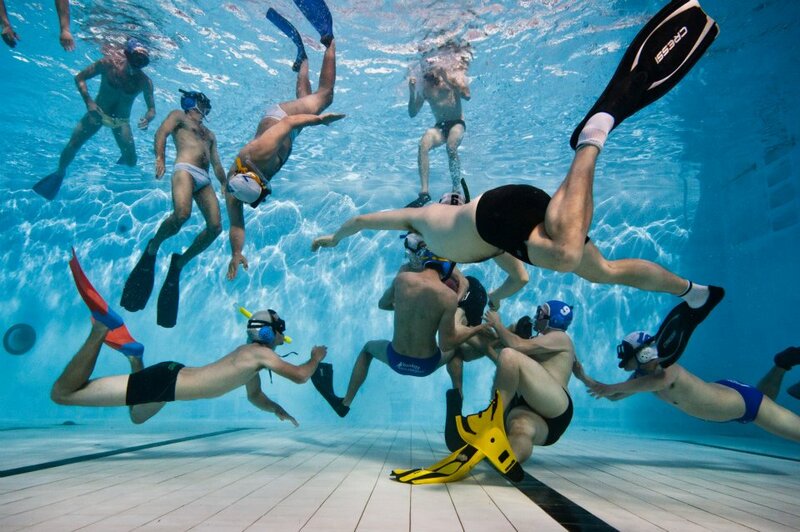 I have no idea but some black magic has to be at work because in underwater hockey, participants are able to do just that and turn a ridiculous sounding concept into a reality. I won’t believe it til I see it. I like water sports just as much as the next person but some of these sports are pushing it a bit too far. For now, I’m sticking to land.